Two hard-to-find EPs from Shakey Graves will officially get released as a double EP set on limited edition clear vinyl and digitally on iTunes and streaming services for the first time on June 30th. 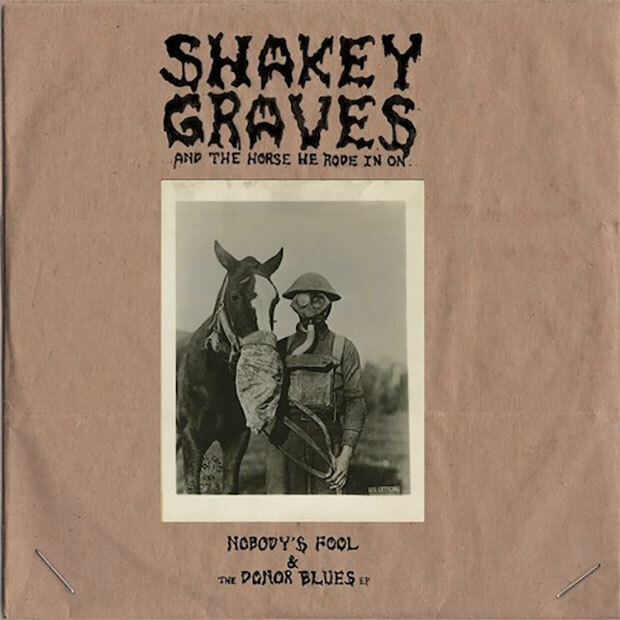 Dualtone Records is releasing Shakey Graves And The Horse He Rode In On (Nobody’s Fool & The Donor Blues EP) featuring rarities and early home recordings. The Donor Blues is available only via Bandcamp, and Nobody’s Fool is even harder to find as a bootleg passed around by fans. NPR’s All Songs Considered shared the title track from “Nobody’s Fool” on their podcast on Tuesday (April 25th). Shakey Graves is currently in the studio working on songs for a new LP, the followup to his breakout full-length album And the War Came. Details and release date are forthcoming. Shakey Graves has also announced a string of summer tour dates in the US and Canada. See below for a list of confirmed dates.